Memorial Day is a holiday about honoring traditions, some incredibly personal. For Marcia Lahr and her husband, Jim, it included proudly flying their flag on their front porch, but this year Marcia found herself having to adjust to some new realities. Then, Marcia noticed something was missing. “Our flag was gone. 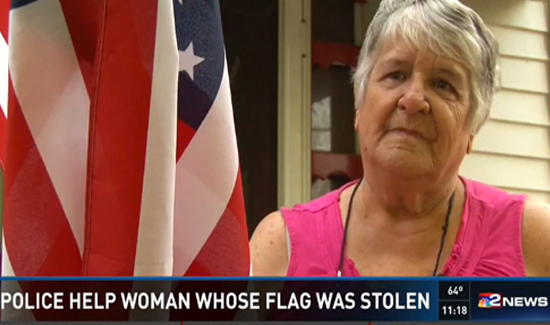 For some reason, somebody stole it, on Memorial Day, from a veteran’s home,” she lamented. So she took the next obvious step and called the Buffalo Police. “I did report it to the Police, and they were kind enough to take a report,” she said, but then the police officers did something she did not expect.